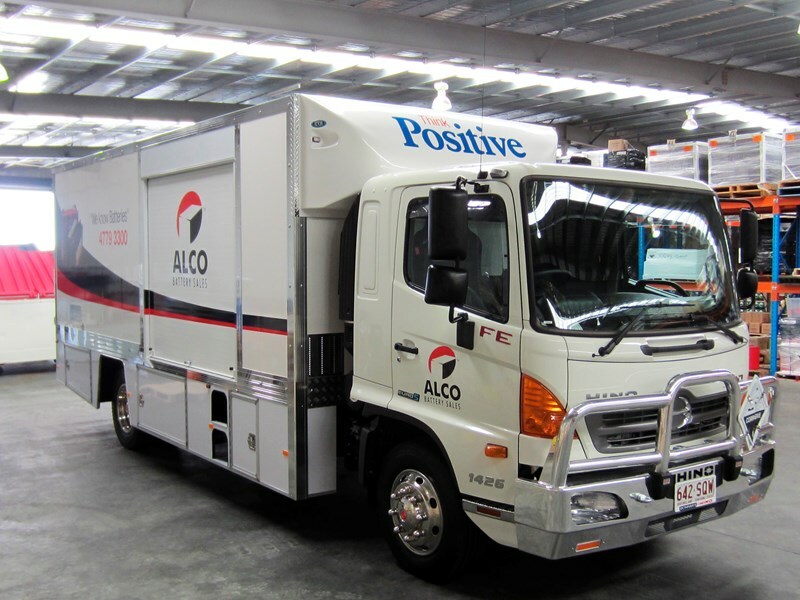 Alco, a family-owned company, has expanded from a single store to one of Australia's leading battery suppliers with more than 20 branches, thanks in part to a lasting relationship with Hino Australia. The 18-strong Alco Batteries truck fleet comprises a mix of new and older model Hinos, including two 300 Series 816 and two 716 Auto light duty models, and 14 medium duty 500 Series models. Alco also recently added a second 500 Series FE 1426 4x2 model to its all-Hino fleet. Hino's 500 Series range makes up the bulk of Alco's fleet because of its ability to cover a broad spectrum of GVM requirements, from the 10,400kg FC 1022 through to the 26,000kg GVM of the FM 2632. Hino's fuel efficient common-rail injected turbo diesel drivetrains suit each application, ranging from a 220 horsepower, five-cylinder engine up to the 320 horsepower in-line six cylinder engine with almost 1300Nm of torque. Alco's 500 Series trucks are fitted with driver safety and comfort features such as cruise control, ABS brakes, driver's SRS airbag, FUPS (Front Under-run Protection System), electric and heated external rear view mirrors, and an ISRI 6800 driver's seat with integrated safety belt as standard. Alco Battery Sales group marketing and business development manager Mark Ray said that Hino trucks have always met the needs of the business. "Alco Batteries' truck fleet needs to be on the road for up to six days a week and the business cannot afford any downtime. Therefore, reliability of the trucks is the most important thing to us," Mr Ray said. "The drivers also need a comfortable place to do their work, and Alco's fleet needs to be capable of handling very heavy loads. "The feedback from the drivers is that the Hino trucks are comfortable to drive and that they handle the capacity loads very well," he said. 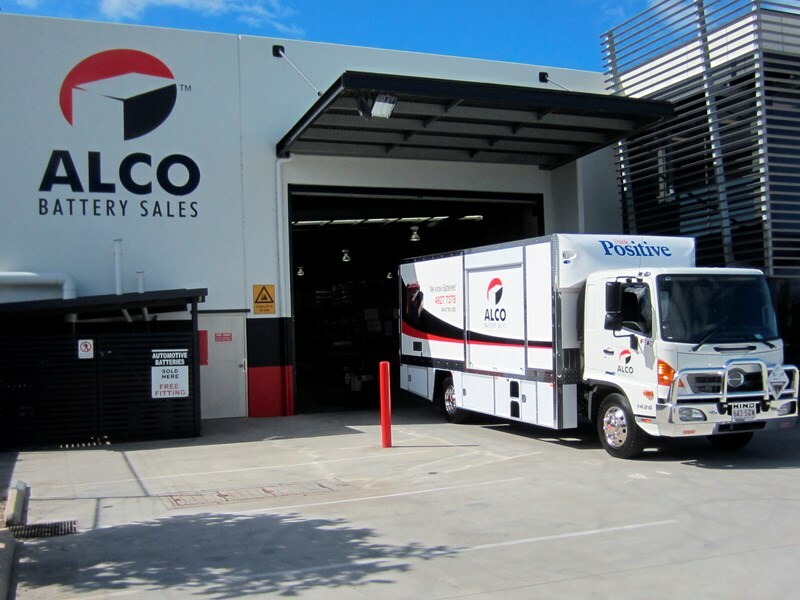 Alco's ongoing relationship with the Sci-Fleet Hino dealership at Coopers Plains in Brisbane has also played a part in its loyalty to Hino trucks. "We've been dealing with Sci-Fleet for many years and we appreciate the great service they provide," Mr Ray said. "Their product knowledge is spot on and ordering through them has always been seamless." Alco Battery Sales started in Sydney in 1985 and has since grown to become a major battery supplier and the sole importer of premium automotive and industrial batteries, including Atlas BX, Trojan, Rolls Surrette, First National, Ritar and Discover Energy. The Alco Batteries truck fleet supports the sale of premium battery brands by servicing the distribution warehouses, dealer network and company-owned retail stores located around the country. Click here to find a Hino 500 for sale.